Deals in access control systems, CCTV camera, security systems, CCTV, residential security systems, electronic security systems. Also offering CCTV installation services, software solution and software integration services. 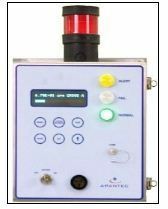 The GG1W Intelligent Gamma Probe is an integrated real-time Gamma radiation-monitoring device that provides highly accurate indication of ambient Gamma radiation over a wide range. 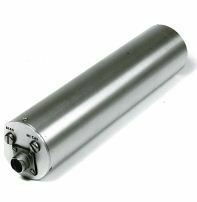 The AM3F is a continuous air monitoring system designed to measure the particulate, iodine and noble gas activity in a sample airstream. 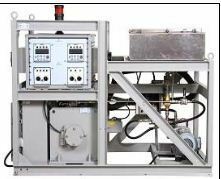 The AM3F uses three separate measuring channels arranged in series to perform the measurement. 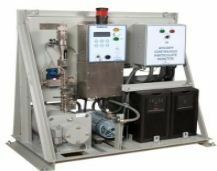 A common vacuum pumping system is used for transport of the sample gases through the system. 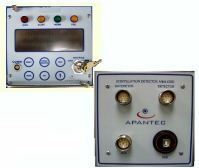 Local RM1R display and control units are included for system operation, data concentration and communication.